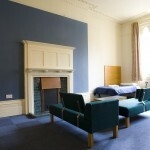 Would you like to book bedrooms for a conference or wedding party? At Corpus we have a 26 single en-suite bedrooms and 200 single standard bedrooms available to book during the vacation times over Christmas, Easter and the summer. 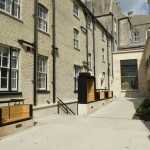 Guests have the opportunity to enjoy the unique experience of staying in a Cambridge college and to have breakfast in Hall. 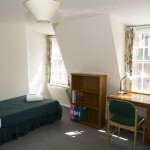 Some of the accommodation available offers beautiful views over New Court, King’s Parade and the city skyline. 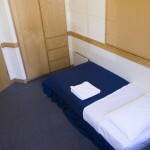 Our guest accommodation is mainly featured within the main College site. 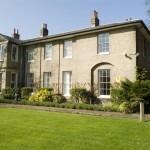 However, we also have accommodation full of charm and character which is located just outside the main College gates. We can set up a code that is only issued to the delegates/guests to allow them to book and pay for specific bedrooms online at preferential rates. 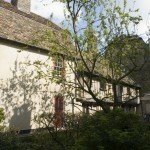 Guests can book and pay online taking the hassle out for any organiser. Contact the Conference Office to discuss this further. 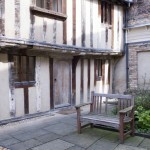 To book accommodation at Corpus please go to the online booking form where you can select the dates you wish (subject to availability), bedroom type. You can then pay online with your credit card. 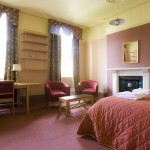 For larger group bookings or longer stays, please contact the Conference Office and speak to Sarah or Hayley to discuss.